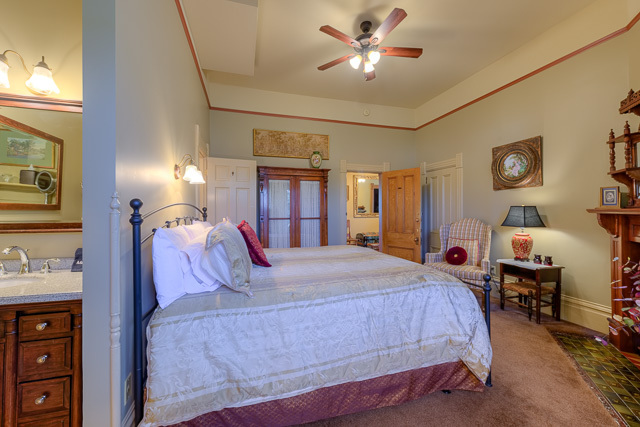 Each guest room has a pleasing blend of turn-of the-century elegance and luxurious comforts expected by today’s travelers. 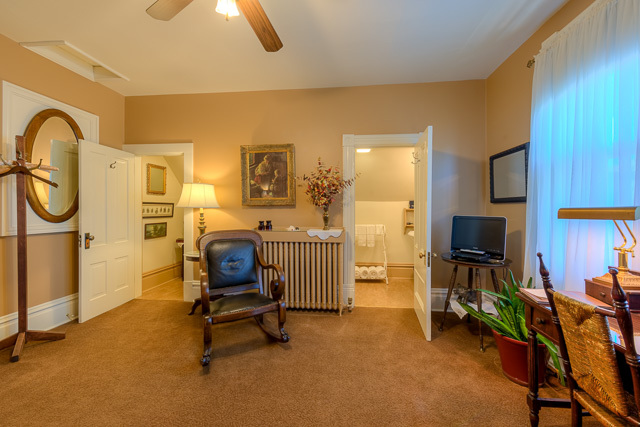 Business quality wireless internet is available throughout The Sanders, a smoke-free home. 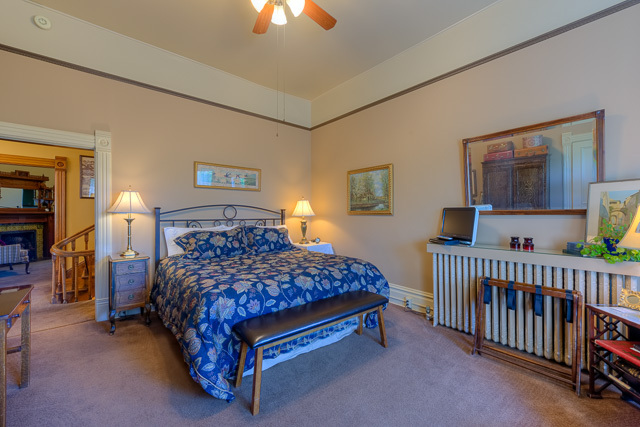 Please call 406-442-3309 for room rates and reservations. 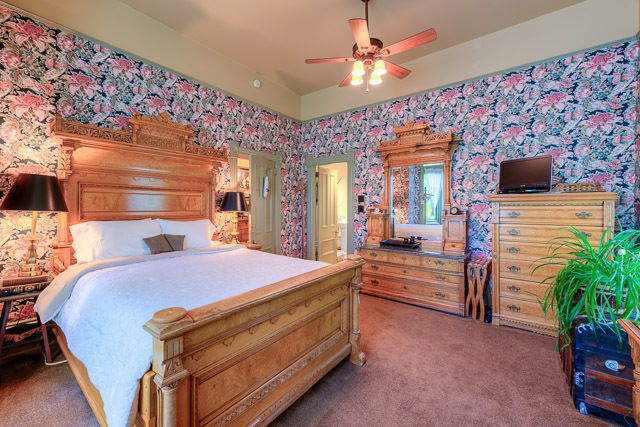 The Sanders Suite – on the main floor – is a large bedroom-bath suite with a queen bed and an old-fashion tub and walk-in shower. Vintage Ringling circus memorabilia give a nod to owner Rock Ringling’s great-grandfather, one of the five Ringling Brothers. 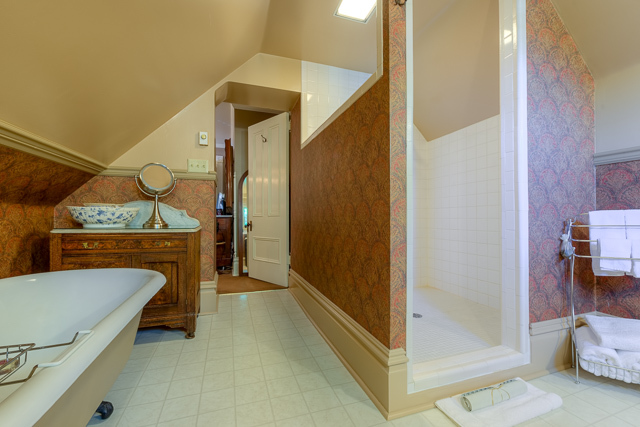 Teddy’s Buckaroo – one flight up – is an elegant room with a king size brass bed and a spacious bath with a walk-in shower and old-fashion tub. 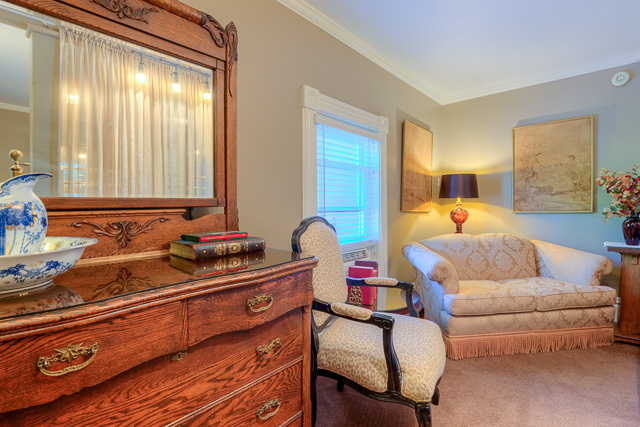 A small sitting area and writing desk complete the setting. 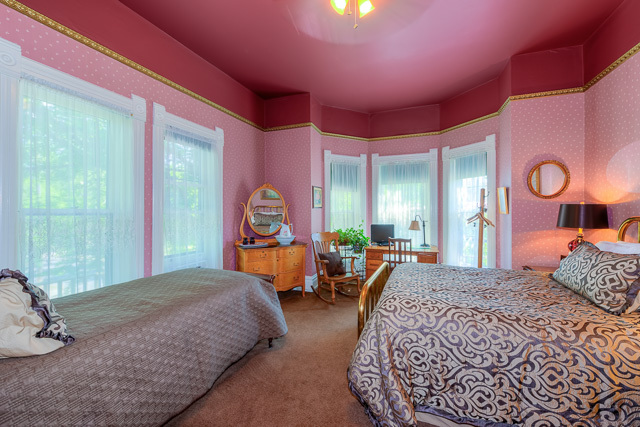 Uncle Bob’s – on the second floor – is an intimate room with a unique ornamental tiled fireplace, a king size brass bed, and a bath with shower. 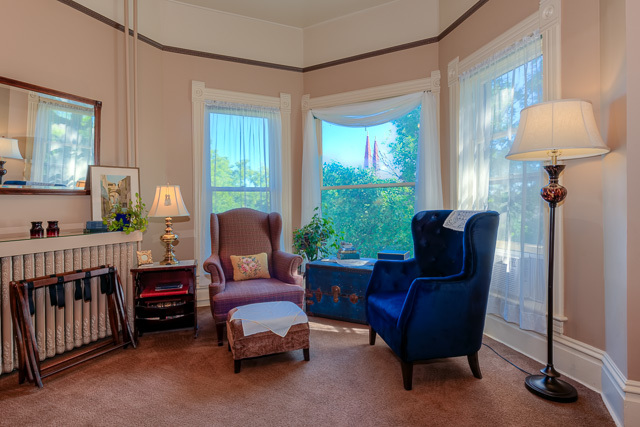 Southern views and lovely lighting filter in through the large bay windows. 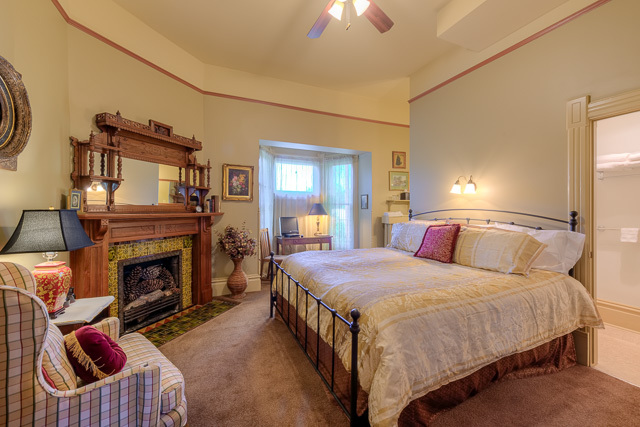 The option is available to open the door to Althea’s to create a family suite. 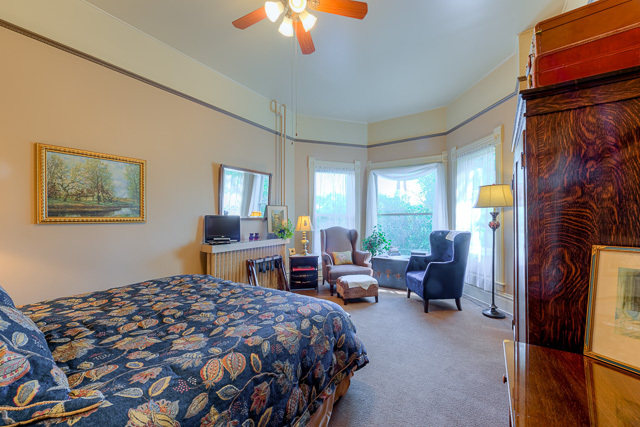 Althea’s – on the second floor – has a queen and twin bed combination and fine views to the east and south. 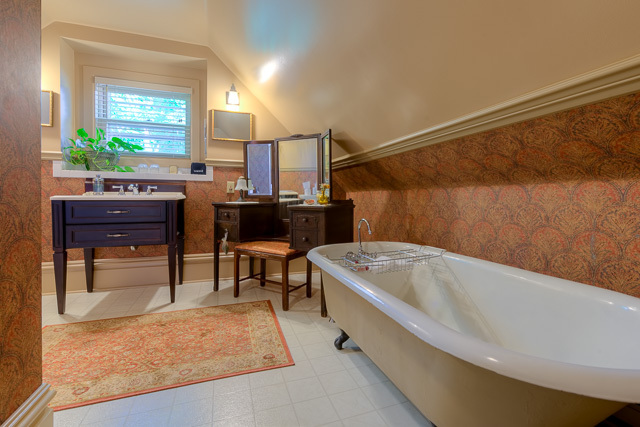 The large private bath is located down the hall, and guests in this room have the only use of it and key. 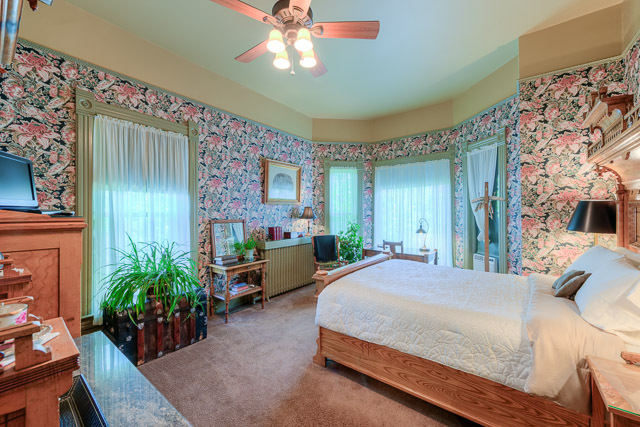 Note the option with Uncle Bob’s (above) to create a suite by opening the adjoining door. 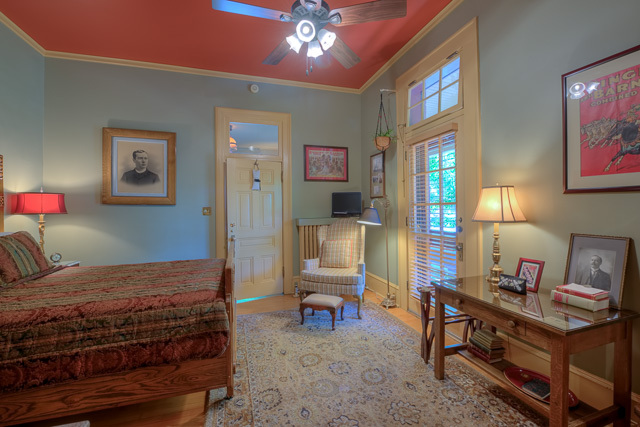 The Colonel’s – on the second floor – has a remarkable set of bedroom furnishings from the Sanders family. Views to the north include Helena’s Cathedral and a landmark feature known as the Sleeping Giant. 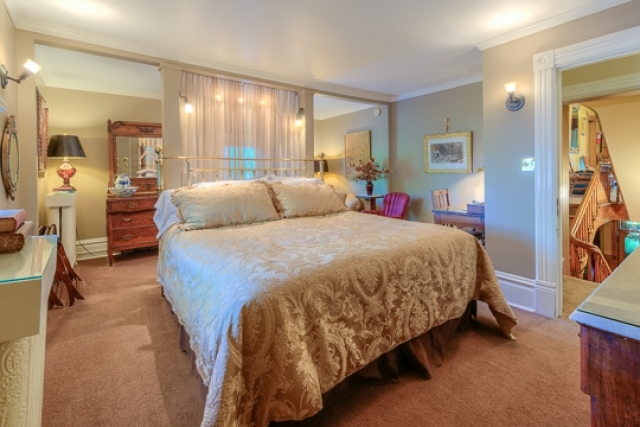 The bed is queen size, and the en suite bath has a shower. 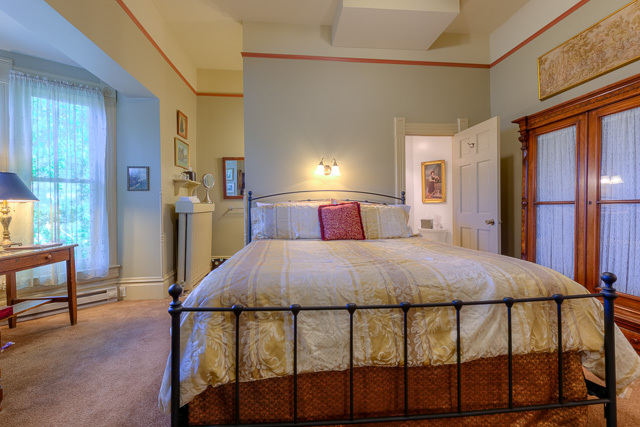 PJ’s – on the second floor – is a spacious room with a king bed and en suite bath with shower. The winning view takes in tree tops, St. Helena’s Cathedral and the Sleeping Giant and mountains beyond. 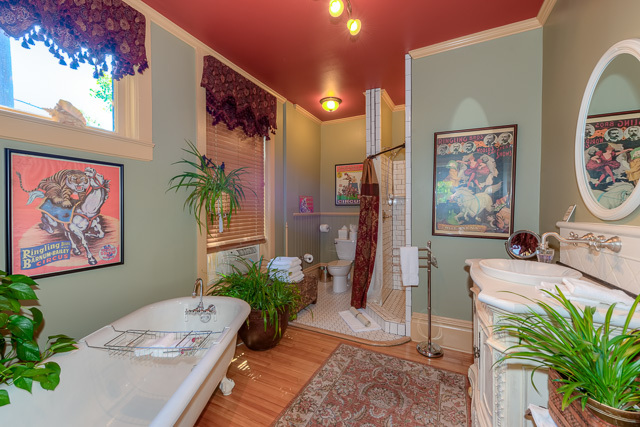 Beth’s – two and a half floors up – Yes! 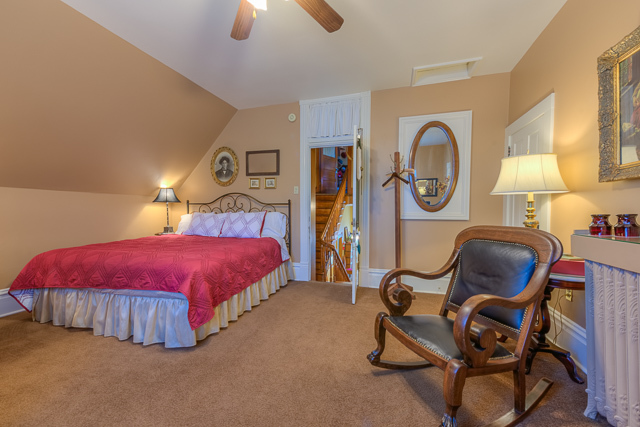 We carry your luggage to this charming room with big views to the West. 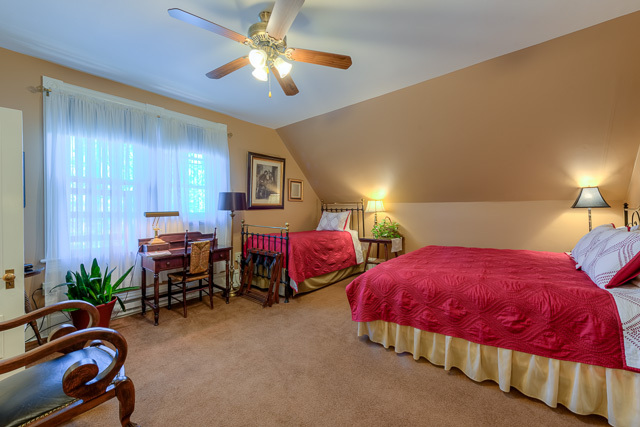 With a king and twin bed combination, it is a fine room for a small family or when two beds are requested. 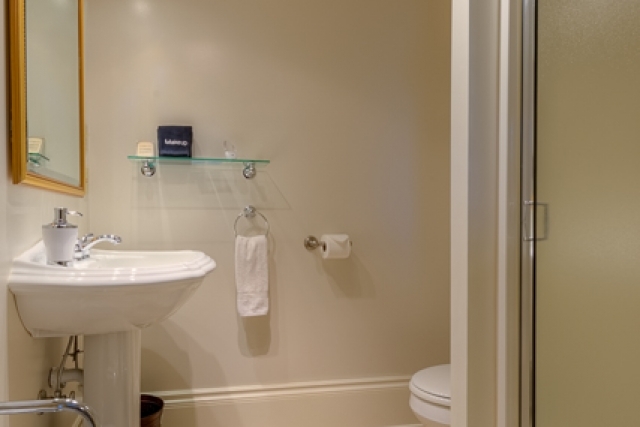 The en suite bath has a shower.